Living in such a fruitful climate, it means vibrant, fresh ingredients hitting stores ready for you to conjure up top tasty and healthy meals from your own kitchen with ease. With so much choice on offer and thousands of recipes to choose from, you might be overawed with options. This is a real winner year-round, especially with Australia’s thriving Greek population. The dish, that hails from Greece, combines seafood, vegetables and a heap of herbs to make a fibre-packed Mediterranean healthy meal. Grab fresh shrimp, zesty fruits, dill, oregano, yoghurt, peppers, cherry tomatoes, lettuce and red onion and you’re ready to go. Lie these on a bed of whole-grain flatbread. This light and super easy recipe is a 25 minute dish, perfect for the season. Simply cook the rice until tender and steaming – then drain and allow to cool. Roughly chop the mixed nuts, pick and roughly chop the basil and mint leaves, then cut the apricots into larger chunks. Combine with the rice, season with sea salt and black pepper, then drizzle with oil. 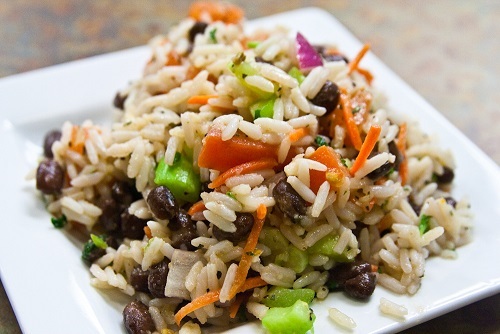 Serve with grilled meat or fish and you can even plop a dollop of peanut butter through the rice. This Asian inspired burger puts a unique twist on a summer classic. Healthy salmon covered with breadcrumbs then sprinkled with ginger, sesame seeds and soy sauce, combine for a delicious burger that comes in at under 500 calories even with a healthy dose of Greek yoghurt on top. A tangy cold soup packed with vitamins, this dish is great as a starter, but can also be used as part of a multi dish main. Eat with whole-wheat bread or prosciutto accompanied with a summer salad, making sure to use the in-season ingredients. Heirloom tomatoes, garlic, sugar, sherry vinegar, olive oil, sea salt, black pepper, yellow and orange bell peppers, basil, and large shrimp all feature in this dish. However, if you don’t have the time to go out and find ingredients then cook a healthy meal for yourself, let a company like Deliveroo do the hard work and bring special dishes to you without leaving your home.